The 10 oz. 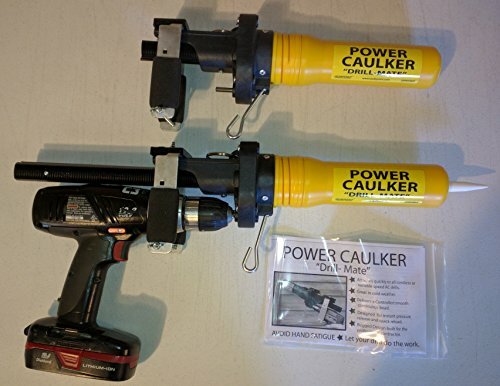 Power Caulker Quickly adds to all cordless and AC drills. Drill not included. It delivers a controlled smooth continuous bead. The Caulker is designed for instant pressure release and quick reload. The Power Caulker will dispense any material that comes in a caulking tube. Cannot be loaded with bulk material.